For many early electric car owners, powering their vehicle using solar power is the ultimate goal. Smartly, BMW has recognized the pleasure derived from powering one’s EV from solar-generated electricity. Accordingly, the German automaker has teamed up with solar power company SOLARWATT to supply BMW EV buyers with rooftop photovoltaic solutions, for a nominal fee. While simplifying the solar power process is a new twist, automakers simplifying EV ownership with an outside partnership isn’t. Just last year, Ford and Best Buy’s Geek Squad combined forces to provide Ford Focus Electric and Fusion Energi buyers with 240 volt charging stations in their homes. Though the energy was pulled off the grid, the concept was rather genius: take the complexity and confusion out of EV ownership. 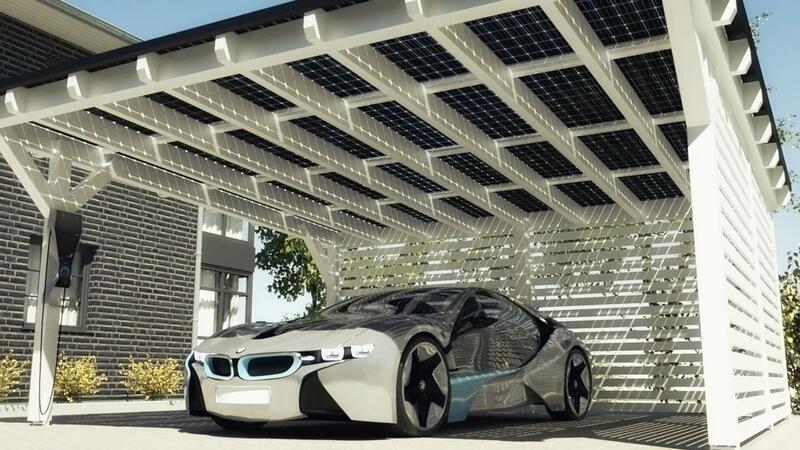 The BMW move takes that idea one step further and allows buyers of the soon-to-be-unveiled BMW “i” electric vehicle brand to harness the power of the sun. BMW brags, “The BMW i3 will be the first electric vehicle on the market that has been designed specifically for electric mobility from the outset.” What that means exactly, we don’t quite know. Customers will need to derive a great deal of satisfaction from powering their BMW i3 off of the sun, though. Solar home systems are rather expensive. Yes, the systems do create energy, offsetting energy bills; an average system rarely generates enough over its lifetime to supplant the cost of its construction and installation. But that could change as the technology matures and evolves. BMW has not yet said in which markets the SOLARWATT systems will be available, nor has it indicated costs. We suspect that the SOLARWATT solar package would be less money than one pieced together from scratch, as BMW likely beat up SOLARWATT a bit on costs. If you have to ask, however, you’re probably not going to be able to afford – or justify – it.